Some companies think virtual private servers and private clouds are the same thing, but these terms are not interchangeable. While the differences between virtual server hosting and private clouds might seem slim at first glance, it could mean all the difference in the world for businesses. Forbes predicts private clouds are going to end up being the next area of cloud computing focused on by businesses. 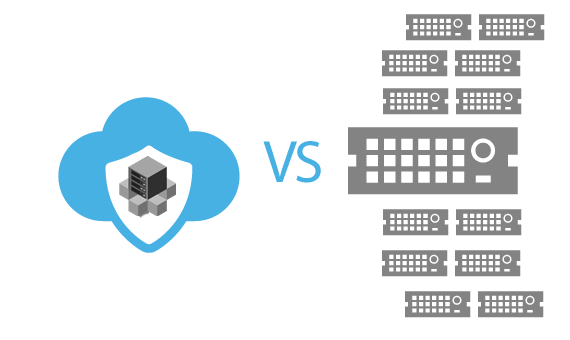 Take a look at these key differences between VPS and private clouds, and for more info. Cloud computing is actually about creating an IT supply chain. This is more fundamental than just an outsourced server. A virtual private server is a single physical server, split up between a limited number of users. It is a similar hosting set-up to a shared server, where many user accounts are located on the same server. The main difference between these two server setups is that VPS accounts have fewer users per box, and the users get more control over their section of the server. Virtualization software divides the users from each other, although you’re not entirely isolated from being affected by other people on your server. A private cloud uses distributed resources across multiple physical servers. The redundancy allows for a seamless transition to the other servers in a network in the event of a hardware failure or other issue. It’s similar to a RAID 5 hard drive setup. You see the resource as one server, but multiple systems are behind it. A major difference between a VPS and a private cloud is the location of the hardware. A virtual private server is generally hosted at an off-site, third-party web hosting provider. A private cloud is situated on site or at a data center you own. There are exceptions to this rule, however, as some cloud providers are offering hosted private clouds for users. These clouds use hardware that is solely for the use of that particular cloud and is not shared with other users. Cloud control panels are built with quick provisioning and deployment in mind. The process to get a new virtual server, database or other resource up and running typically takes only a few clicks through the administrative panel. A VPS requires you to upgrade your service manually, send in a support ticket to the provider, or call to get tech support to provide you with the resource needed, making a private cloud more convenient in this regard. A private cloud is rather expensive in terms of hardware, as you have to shoulder the cost of the hardware, installation, set-up, and maintenance. This is lowered somewhat if you go with a hosted private cloud, but you don’t have the same level of control on a hosted cloud as you do with your own, on-site option. A virtual private server is vastly less expensive and even cheaper than dedicated server hosting. If cost is an issue, the VPS wins out every time. What Is A Hosting Control Panel? What is PHP in Web Hosting?